When I think about the stories I love, I usually remember the hero, the heroine, or perhaps a particularly effective antagonist (in the case of the best stories, all three!). It is rarer that a secondary character comes to mind, but I think when one does it is the mark of good storytelling. Below is a list of characters that are memorable in their own right, even if they aren’t the focus of the stories and worlds they inhabit. 1. Mogget from the Abhorsen series by Garth Nix – What is Mogget, after all? Mysterious, cat-like, more-powerful-than-he-appears, with a helping of sharp humor on the side, for a start. One of the most memorable parts of a fantastic world and series. 2. Luna Lovegood from the Harry Potter series by J.K. Rowling – Everyone remembers Luna, if only because she’s so… quirky! Radish earrings, missing shoes and all. 3. Ell the Wyverary from the Fairyland books by Catherynne M. Valente – September’s dragon-library cross of a friend from Fairyland is a wonderful bit of make-believe and magic. 4. Puddleglum from The Silver Chair by C.S. Lewis – My favorite of the Chronicles of Narnia was this dark tale that unpacked the power of words, of slipping into unbelief and forgetfulness, and of a depressing marsh-wiggle with more sodden humor than Eeyore. Oh, and he had a pipe! I remember that, too. 5. Suzy Turquoise Blue from The Keys to the Kingdom series by Garth Nix – Another Garth Nix character, and one of my favorites of all time, secondary character or no. Suzy’s an inventive, energy-charged force of friendship and mischief. 6. Morwen from Dealing with Dragons by Patricia C. Wrede – Wrede’s Enchanted Forest Chronicles began with the story of Princess Cimorene running away to live with a dragon. But she wouldn’t have done nearly as well without the help of the witch Morwen and her numerous cats and books. I’d like to live with Morwen for always, I think. 7. Lord Akeldama from Soulless by Gail Carriger – Akeldama is a most unusual vampire, with a keen fashion sense and a friend in that soulless creature, Alexia Tarabotti. 8. The Fairies (Cobweb, Moth, Mustard Seed and Peaseblossom) from Eyes Like Stars by Lisa Mantchev – Full of mischief and obsessed with glitter and sweets, these tiny tyrants are part of the magic and joy that fills Mantchev’s riff on Shakespearean playacting. 9. Marquis de Carabas from Neverwhere by Neil Gaiman – Neverwhere is my favorite Gaiman book, and I was tempted to put any number of character names in this list. Trust me to pick the most shifty, mysterious and unexpectedly helpful of the lot! The Marquis is part of a dark tale of London below, and you could say he has the most dramatic journey of anyone in the book. 10. Una from Rilla of Ingleside by L.M. Montgomery – Una reminds me that L.M. Montgomery wasn’t very nice to one of her nicest characters. I can’t think of Una without tearing up a little. Ah, the feelings! Which secondary characters count as your most memorable? Do any of my picks make the list? Over a year ago I saw a fellow blogger’s review of Marian Keyes’ Saved by Cake, and I knew I wanted to read it posthaste. After all, the cookbook featured baked goods (my purview!) exclusively, and the author’s voice was straight-up hilarious in the short excerpt. However, I couldn’t find a listing for the US release date, and when I looked into purchasing an international edition, I realized I wouldn’t do well with the metric weights and measurements. So I put it on my wishlist and waited. And waited. And then! It was finally available in April. I bought it immediately and it sat on my bookshelf for far too many months. A few weeks back I finally picked Saved by Cake up again, and here we are today, with cake. All is right with the world. Beloved novelist Marian Keyes tackles the kitchen with a new cookbook featuring desserts that are both simple and delicious, with step-by-step instructions and stunning photography. In Saved by Cake, Marian Keyes gives a candid account of her recent battle with depression and her discovery that learning to bake was exactly what she needed to regain her joie de vivre. A complete novice in the kitchen, Marian decided to bake a cake for a friend. From the moment she began measuring, she realized that baking was the best way for her to get through each day. Refreshingly honest and wickedly funny, Saved by Cake shines with Keyes’ inimitable charm and is chockfull of sound advice. Written in Marian’s signature style, her take on baking is honest, witty, extremely accessible and full of fun. Her simple and delicious recipes—from Consistently Reliable Cupcakes to Fridge-set Honeycomb Cheesecake—are guaranteed to tempt even the most jaded palate. As for the recipes themselves, Keyes has a bit of a fussy bent, so many include unique flavor combinations, unexpected ingredients, and long-ish prep times. Keyes has a good knack for describing baking tips that you may not have thought of before, and I will incorporate several of these into my usual routines. My favorite section of the cookbook was the one on ‘Classics,’ though I look forward to also trying recipes from the ‘Fruit and Veg’ section as well. The photo below is from my attempt at the Victoria Sandwich, which I’d make again (it was a snap!) but vary the filling. My favorite THINGS about the cookbook at large were the introductory paragraphs and the beautiful photos accompanying each recipe. This is where Keyes shines – in her conversational writing style and self-deprecating humor. In all, Keyes’ book is fun, funny and personal, with drool-worthy photography and delicious recipes. It’ll stay on my shelf, and come down for many rereads in the future. Recommended for: Marian Keyes fans, those who would appreciate a funny, slightly irreverent take on food and mental health, and anyone with a ken for cake. Especially making it (and devouring it afterward!). 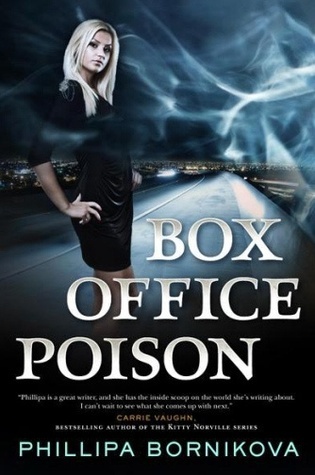 Today’s review is part of the blog tour for Phillipa Bornikova’s new book, Box Office Poison. 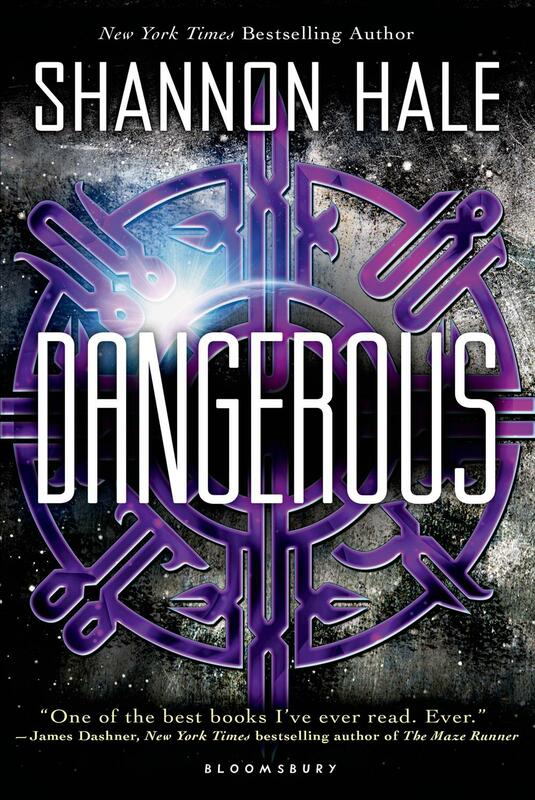 It’s an urban fantasy/law procedural/mystery with Hollywood flair and a clever (or lucky?) heroine. It was released by Tor (Macmillan) on August 6, 2013. One of my roommates is currently obsessed with the show Suits. As a result, I have recently watched an episode (or two!) featuring ruthless lawyers, unbelievable shenanigans, and really, really well-dressed members of the firm and their clients. It may have been this peek into the Hollywood version of law that prompted me to pick up Phillipa Bornikova’s Box Office Poison, a fantasy that feels very real, and features not only werewolves, vampires and elves (Álfar), but also a resourceful and indomitable human lawyer, Linnet Ellery. What happens when exquisitely beautiful elves start getting all the roles in Hollywood? Human actors sue, that’s what. In a desperate attempt to keep the squabbling inside the Screen Actors Guild from going public, the president of SAG forces the two sides into arbitration. Enter Linnet Ellery, a human lawyer working for a vampire law firm, to serve as arbitrator. Linnet discovers that there are sinister forces at work in Tinsel Town determined to shatter the fragile peace between elves, vampires, werewolves, and humans. Someone has been coercing famous elven actors into committing sudden and terrible acts of violence against humans in a series of tragedies that could turn the tide of public opinion against all the supernatural Powers. In this second installment in Linnet’s adventures in law as a human dealing with Powers, Linnet has traded snowy New York for sunny L.A. She’s being called upon to serve as one of the arbitrators between human actors and their Álfar counterparts after a suspiciously high number of roles go to elves over humans. The already-tense situation is complicated by the fact that elven actors are committing horrible crimes against their human counterparts. Linnet, acting as one-part impartial observer and one-part private investigator, is about to find out just how hot (in a dangerous sort of way) California can get. In the interest of full disclosure, I’ll say that I didn’t read the first in this series, This Case Is Gonna Kill Me. Obviously I would have had a much better understanding of the circles of power and Linnet’s back story if I had picked up the previous entry. That said, the writing is straight-forward even as the mystery sets characters from with varying motivations and different backgrounds into play. Linnet herself is a reliable narrator with a sort of blunt charm and a side helping of sass. She’s also dealing with a world that is inherently unfair to women and downright dangerous for humans, so her self-possession is admirable. Plot-wise, Box Office Poison is at times legalese-heavy, and that’s not something I’m in the habit of reading. Action scenes break up some of the slow-moving political wrangling, as does Linnet’s interest in horses. Still, the pacing is a bit uneven, although there are moments of humor (some prompted by awkward interactions) between Linnet and her immediate superior, David (a vampire), and the Hollywood-style banter kept the book from tedium. Linnet’s talent for being in the wrong place at the wrong time, and escaping with her life, are sure to be the subject of ongoing interest in future books. In all, Box Office Poison was a mixed bag for me – it had some fun/funny moments and featured a strong, lawyer-turned-PI heroine transplanted into a sunny new environment, but the pacing suffered a bit from an excess of procedure, and in the end the reader is left with more questions than answers (although that could have been my own fault for not reading book one first!). Recommended for: those who enjoy law, mystery and urban fantasy, fans of Wen Spencer’s Tinker and Jennifer Estep’s Elemental Assasin series, and readers who fancy a smart, unflappable heroine who has the wits to survive a complex, supernatural situation. If the book sounds intriguing to you, enter the giveaway! Two entrants will each receive a finished copy of Box Office Poison. To enter, simply fill out the FORM. Giveaway open to US/Canadian addresses, will end August 25th at 11:59pm EST. Winner will be selected randomly and notified via email. Giveaway prize provided/mailed by the publisher. Good luck! Fine print: I received a finished copy of Box Office Poison for review from Tor (Macmillan). Giveaway prize will be provided by the publisher. I did not receive any compensation for this blog tour post. Reading slumps seem to hit randomly, with no regard for things I’ve promised publicists and fellow bloggers, or time off, or anything, really. One snuck up on me at the end of July and has been firmly sitting on my chest for this first bit of August, too. It caught me midway through John David Anderson’s middle grade superhero novel Sidekicked. Luckily, that’s also the book that eventually broke me out of the slump. Something special about the superheroes and sidekicks of Anderson’s tale kicked my reading apathy right out of the area. Drew is that relatable, introspective, verging-on-worrywart kid that we all were or knew in middle school. He has typical problems (avoiding bullying, being terrible at organized sports, trying to figure out if his best friend ‘like’ likes him), but he is also pulled out of his teenage self-absorption by his talent and the code he’s striving to live by. The continued absence of his superhero doesn’t make it easy, but he’s keeping his head above water until true danger rolls into town. That understated humor thrown in with everyday (and not-so-everyday) observations adds to the sly charm of Sidekicked. 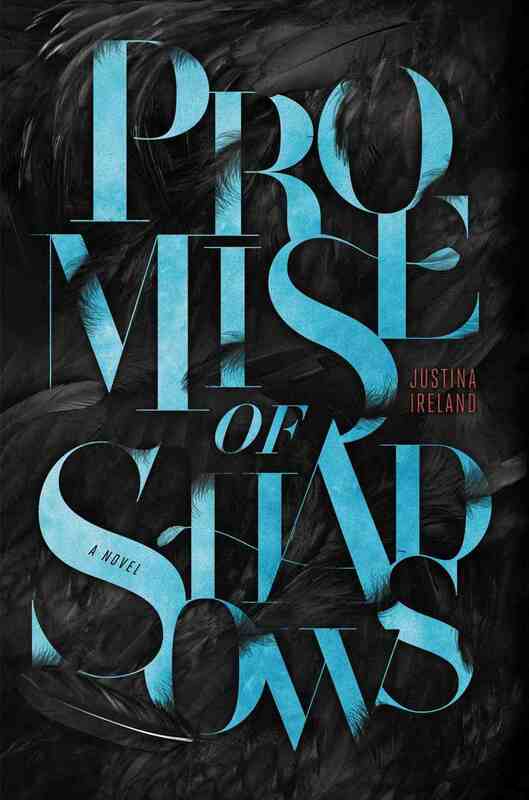 Lest female readers be dissuaded from picking up the book, I can assure you that while there isn’t a female voice, Drew’s best friend Jenna figures prominently. She’s described through the lens of Drew’s experience, so there are a few layers of mystery, but this isn’t a boys-only superhero club – the most powerful superhero in town is Jenna’s partner, the Fox, a dynamo of crime-stopping and action. Since Drew is by nature an observer, there are quieter bits in Sidekicked than I expected for a superhero book, but that doesn’t mean that the story lacks action. There’s plenty of dangling precariously over vats of acid, plot twists, fights, losses of faith, keeping the code, protecting the cover story and, of course, saving the day. 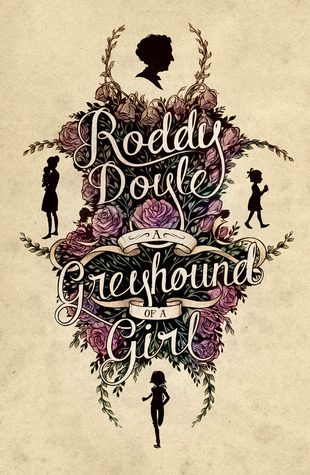 It’s a well-written, satisfying, and wryly funny book with a great hook and an engaging teen voice. Recommended for: fans of superhero stories, those who enjoy clever books with humor and humanity, and readers on the older end of the middle grade range – 10-14 year-olds. 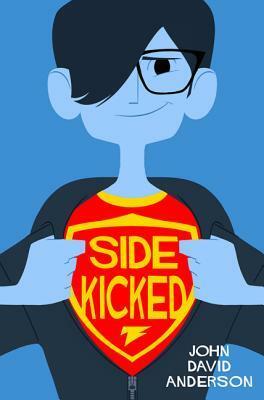 Fine print: I received an ARC of Sidekicked for review from Walden Pond Press (HarperCollins). I did not receive any compensation for this post.